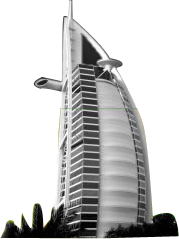 Telemarketing agents to work for an Call center based company in Dubai. Those who are into Husband/Father’s sponsorship can apply. Job description: Reputed Group of Companies in UAE requires Receptionist (Female) at Abu Dhabi. Candidates seeking the above position should have atleast 2 to 3 years of experience. Are you looking to make your mark as a team leader, or are you an experienced leader, looking for a change of scene? Working within the marketing division this position requires a highly motivated and driven candidate to manage a team of 11 customer care consultants. With a strong focus on motivating your team, building rapport with customers and managing your clients expectations and requirements, this position needs a "juggler" who can manage KPI's but also present results to the client. A hands on role, this exciting and challenging role requires you o manage customer care campaigns for you client, so the ability to be adaptable and work in a fast paced environment is essential. Whilst this role does not require a lot of call escalation management, and does not have a sales focus it will require you to manage your team, utilising the right people for each campaign and be innovative in your approach. Previous customer/call centre experience is ideal, however not essential. What is essential is your ability to motivate and lead a team, whist maintaining a professional approach and a positive outlook. A knowledge of the automotive industry would b looked upon favourably, along with some exposure to marketing and client management. A salary in the range of $53-$55k USD + super, bonuses and other incentives will be negotiated with the successful candidate. Resolve client issues reported by phone, email, and through cases in a Customer Relationship Management (CRM) system. Communicate effectively with customers via phone and email. Navigate multiple software systems to locate information and troubleshoot problems. Ensure that client issues are dealt with in an efficient and satisfactory manner under time constraints. Understand the company’s capabilities and service offerings and effectively communicate them to clients. Work closely with internal teams in order to maintain a continuous knowledge of customers and properties in order to identify potential issues and/or related opportunities to strengthen the relationship. Escalate issues, as necessary, to the Client Services Manager and Team Lead. You should be aspiring to lead the customer services of the Company. Must have experience in CRM / Data Management. Great English. Resourceful. Excellent Time Manager. We are looking for some one who can join immediately with the visit visa status. Self-motivated, goal oriented, and ability to work within a fast paced environment. Considering some on visit visa and able to start immediately. We are seeking candidates who are graduates and fluent in English language skills for tele sales job profile. Idially, the candidate must have his own Visa and the job is purely on Commission basis. Typically you can earn comissions from smiply sitting at your home and making calls to Customer who would be Senior Managers of Corporates in Dubai and making appointments for our Director-Sales. We are in the business of Corporate training in 'Image Management & Soft Skills.' You will be explianed more about our business and approach if we feel you are the ideal candidate.